Greetings from the Dutch Meadows Organics Stand! Just to let you all know, we have changed hands and did some renovating. We now carry a full selection of the most purest and natural health and beauty aids, along with a wide variety of herb supplements. We still carry the grass-fed, certified organic and GMO free meats. We no longer have our raw fresh meats displayed in our large showcase, but in our cooler and freezer. We get a fresh shipment of meat in every week that comes in a sealed package. So don't worry, we still carry the fresh meats, but only in packages. Our goal is to keep our products as natural and organic as we can. So come check us out, we would love to accomodate you the best we can! All of our beef is from a local farmer who raises Black Angus cattle in pastures. They are 100% grass fed, NO grain. Grass fed beef has more flavors because of all the nutrients found in grass and for the fact that NO grain is used in raising them! 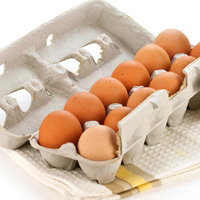 No hormones or antibiotics are used in any way. Organically pastured from a local farmer, fed GMO free and soy free grain. Whole birds also available. Fresh chicken available June thru November! Frozen chickens available year round. Fresh Turkeys from a local farmer, they are the heritage breed Turkey, which gives them lots of flavor and nutrient dense! These Turkeys are always available fresh at thanksgiving. Otherwise we have a variety of parts or whole frozen. 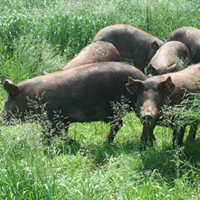 All pork we have is from local farmers throughout Lancaster County. 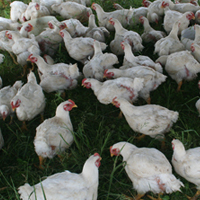 They also are organically pastured and fed lots of whey, which gives it a wonderful flavor! They are also fed a small amount of GMO free and soy free grain. We stock a variety of sausages, ham, bacon, and pork chops. The other meats we have to offer are; pastured lamb, natural rabbit, fresh wild caught salmon, and salmon burgers. We carry a great selection of Trickling Springs milk in glass bottles. Most of their milk is organic and grass-fed. 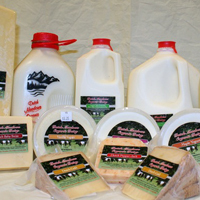 We also carry a wide selection of their delicious, creamy ice cream, along with a couple of different kinds of cheeses. Be sure to check out our organic butter. We offer a large variety of raw milk cheese made traditionally using the finest raw milk from grass fed Dutch Belt Cows. We also carry their raw milk and yogurt. 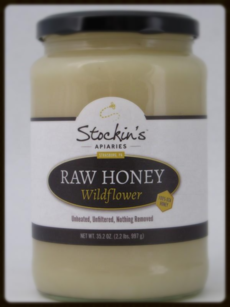 We carry the full line of stockins raw honey. Sweet and natural goodness!! The purest forms of raw honey is honeycomb right from the hive. The next best is extracted honey spun out of the comb. This raw honey is pure honey that has not been processed so as to change any enzymes that are present when the honeybees actually stored that honey in the comb. Depending on the floral sources available to the bees, they provide us with many varieties of natural sweetness. These soaps are expert crafted from non-gmo and organic plant extracts and scented with pure essential oils to soothe and cleanse your skin. 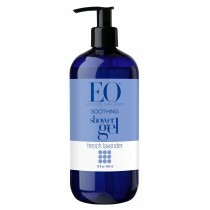 EO..... EVERYONE LOVES TO BE REFRESHED!!! Pure essential extracts... come check it out! Trace mineral power paks... low in energy? Try it! For more information, contact us at 610-372-0150. Thank You, and enjoy your day! !